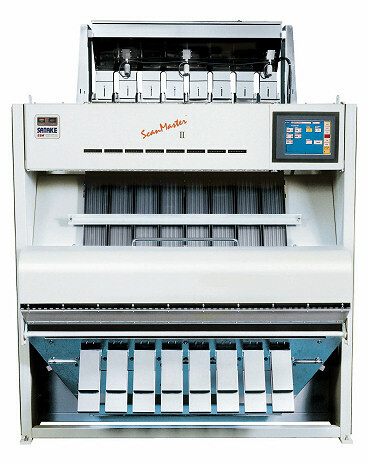 The ScanMaster SE optical sorter uses proprietary high resolution cameras (CCPD) which are highly responsive in the ultraviolet light spectrum. Combined with 6 powerful UV fluorescent lamps, this allows for excellent differentiation between the various categories of rejected product and good product. With two cameras per 100mm of product covering 360° viewing, the user will be able to remove the defects to give a very high quality final product. 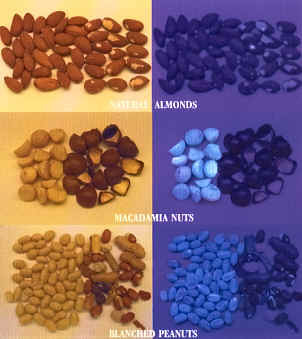 The ScanMaster SE is ideally suited to almonds, macadamias and cashew nuts. Typical foreign material contaminants removed include fragments of the shell and hull, chip and scratch, insect damage, in addition to discoloured, damaged and mouldy product. This is a unique machine to Satake and no other company at this time offers a UV machine.